During a successful music career spanning over two decades, classically trained musician, sonic artist, DJ and music producer Haris Čustović has truly lived his dream. He is a fusionist on a mission to blur the borders between genres, attitudes, concepts, ideologies and challenge categorisation. Using technology as a tool of expression he has developed his own recognisable style - an emotive interplay that blends four-to-the-floor rhythms with a spectre of quality sonic elements. Haris’ vibrant personality transcends into his work, and his talent, persistence and hard work is why his music has been recognised by the industry and featured on top labels such as The End, Distinctive, Global Underground and Swag records. He has remixed various artists including Eminem & Royce 5’9”, Roland Clickenberg and Dino Dvornik. Haris’ work has attracted plenty of attention and received continuous support from both the underground and premier league DJs such as Laurent Garner, Hernan Cattaneo, MR C and Terry Francis. Due to his natural ability to select and mix outstanding music, ‘read’ the club crowd and flawless technical skills, he has travelled far and wide to perform at some of the best nightclubs across the globe such as Fabric in London, Pacha in Buenos Aires, Zouk in Singapore and Aurora in Croatia. 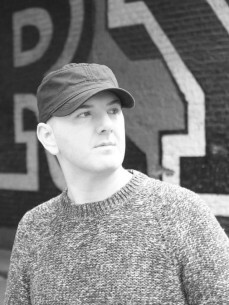 Haris has compiled several dj mixes and had sets broadcasted on many radio stations, highlights include Kiss FM, Ministry of Sound and Groovetech. Haris holds an MA in Sound Arts from University of Arts in London, a conceptual arts degree that has been a great inspiration to his musical output. His sound art work has been shown in various exhibitions. He is also an occasional lecturer doing talks and workshops and passing on the knowledge. DJ mag - …Haris proves that he’s the one of the UK’s most talented producers around. Catch Haris Čustović live at InDeep’n’Dance Records Store Rozengracht 60.